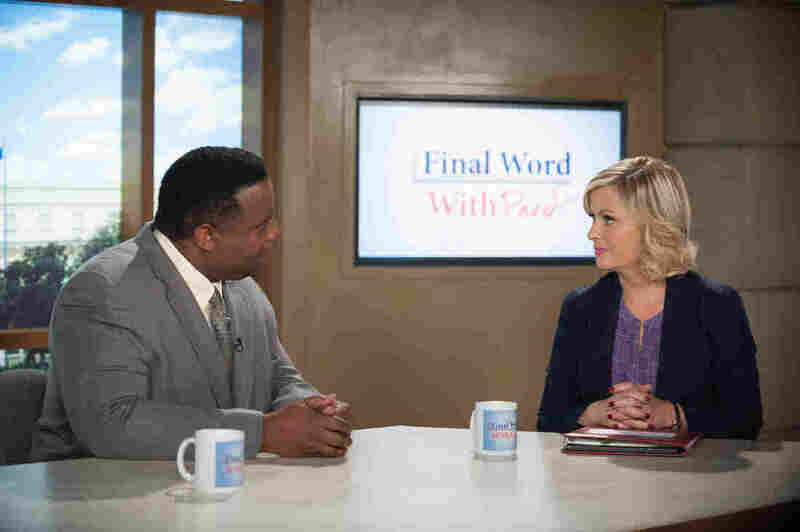 'I'm Perd Hapley, And I Just Realized I'm Played By An Actual Newscaster' Jay Jackson plays the hilariously odd newscaster on NBC's Parks and Recreation. But before he was a fake anchor, Jackson spent 22 years as a real TV reporter — and he became an actor by accident. 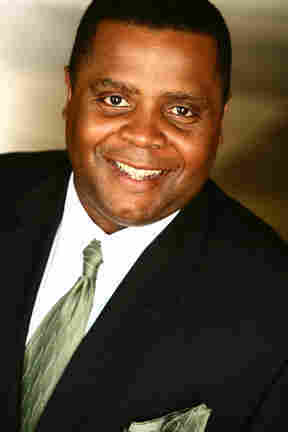 If you're a fan of NBC's recently-concluded sitcom Parks and Recreation, then you know actor Jay Jackson as Pawnee's ridiculous newscaster, Perd Hapley — the man who doesn't seem to know centaurs are fictional and once signed off by saying, "I'm Perd Hapley and I just realized I'm not holding my microphone." Jackson also had roles on Scandal, The Mentalist, movies like Fast Five and Battleship. And he always — always — portrays a newscaster. "People would say [I'm] typecast," Jay Jackson says. "Well, it's not typecast. It's all I know how to do." That's because Jackson spent 22 years as an actual reporter in Southern California. At KCAL9 News in Los Angeles, he was the one at the scene breaking lead stories. "For some reason, I was pretty good on the death and destruction beat," he says. "Like if somebody was murdered or died in a fire, for some reason, the loved ones of the victims always wanted to talk to me." His change from real news reporter to fake newscaster was, as Jackson says, purely by accident. "I run this school ... called the Los Angeles Reporter's Clinic. I help people become reporters by making their demo reels," he says. The demo reels he produces look like live reports where Jackson plays the news anchor and the students are the reporters in the field. One of his clients made a demo reel for a network TV show audition. Jackson says his student got the part. And, to his surprise, he got a call, too. "The manager who saw the tape thought I was great," he says. "She was getting a lot of casting calls for reporters and anchors." The manager asked him if he would be willing to do some auditions. With his news experience, Jackson was a shoo-in. His acting debut was a 25-second appearance as a reporter on the TV show Dexter. "That's the big break," Jackson says. "My big break came when I made that demo reel for the student. That's the only way it would've happened." Jay Jackson, as Perd Hapley, interviews Amy Poehler's character Leslie Knope during the sixth season of Parks and Recreation. Perhaps Jackson's greatest acting achievement is his infamous portrayal of the overly literal newscaster Perd Hapley on Parks and Recreation -- who says things like "Let's begin the show by starting it" and "The statement that this reporter has is a question." "He's not dumb, he's different," Jackson says. "Perd speaks in a way that is his own world, it makes sense to him — but it's like, the kind of sense that, well, you could've done that a different way. And it's all the time." Despite Perd's popularity, Jackson says he's still a struggling actor. "I'm not, like, some rich guy — I'm still broke," he says. "But it's cool, though. I like it. I enjoy it because my training is from Parks and Recreation and the actors on that set." He insists that he's not a naturally funny guy. Jackson credits all of his comedic success to the show's writers and lead star. "I will say to Amy Poehler one day, 'It's because of you, you didn't know it, but you would teach me all of these ways of how to respond and how to act on set and how to be an actor,' " Jackson says. "One day when I'm accepting my Oscar, I do want to say, 'I want to thank Amy Poehler for all of that.' I'm planning it out, I have it all written out, I want to see her smiling and the whole nine yards."